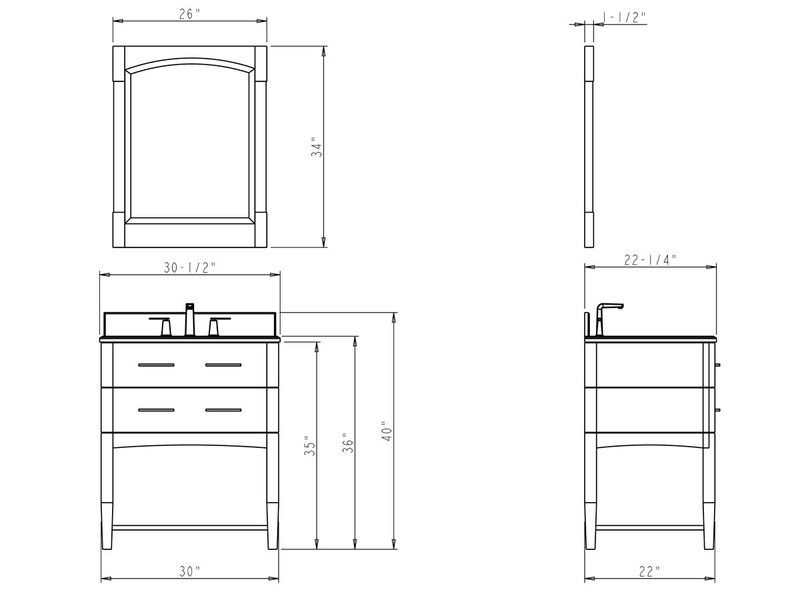 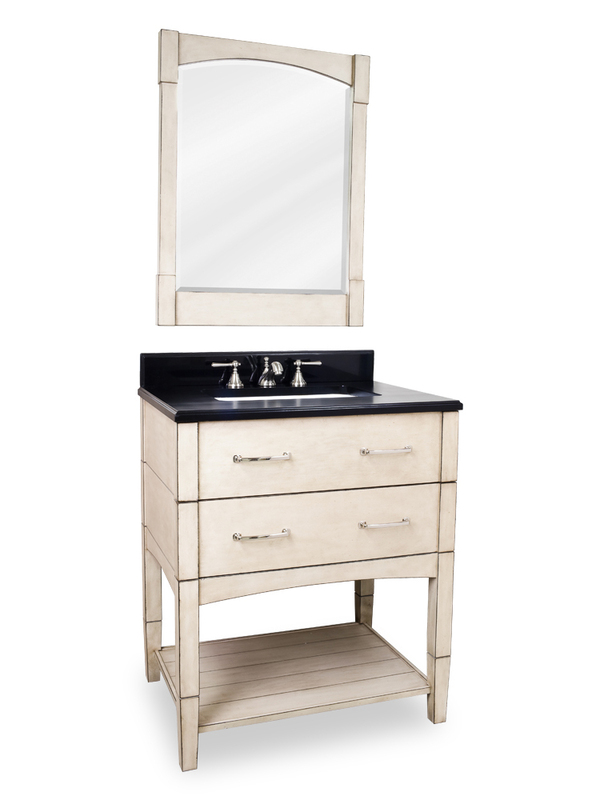 With a historic feel the 30.5" Myrtle Beach Single Vanity will do wonders to the style of your bathroom. 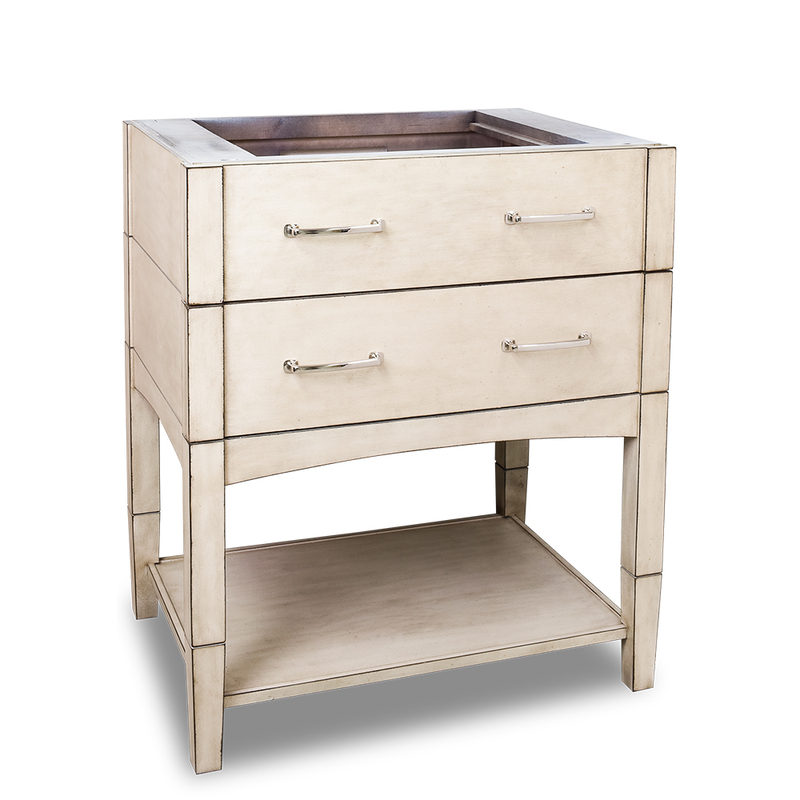 Featuring a beautiful French White finish that exudes a gleaming appeal, and polished nickel hardware, this vanity is both stylish and functional. 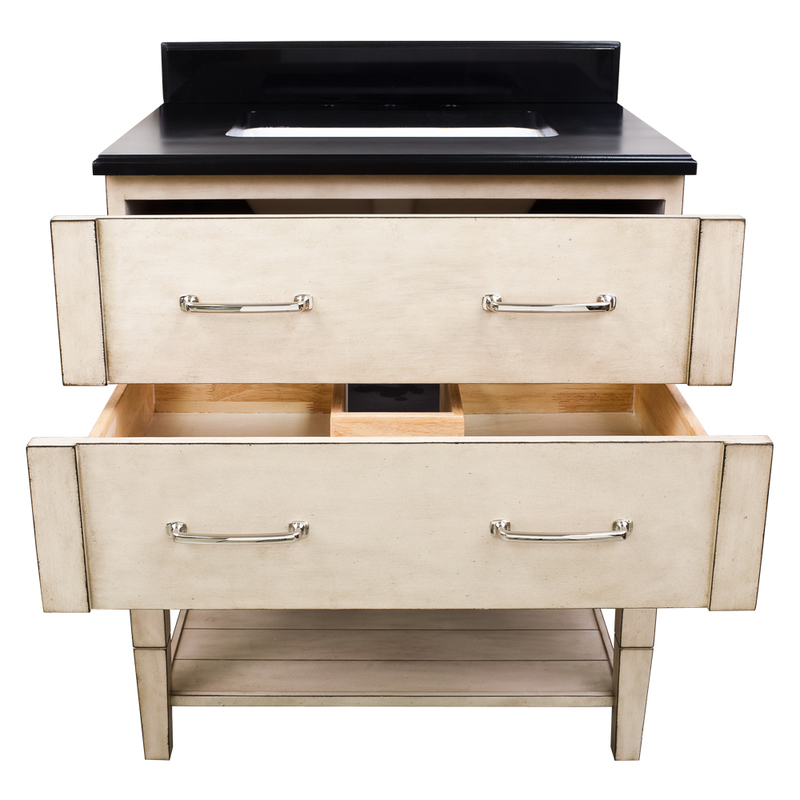 It is made from solid wood with 2 fully-functional drawers that are fitted around the interior plumbing. 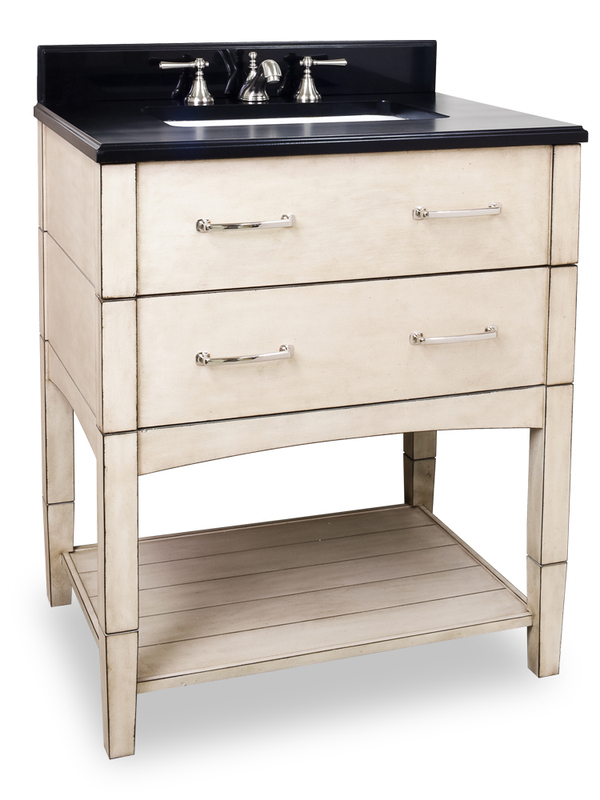 The black granite top offers a contrasting touch that is preassembled with a rectangular sink bowl. 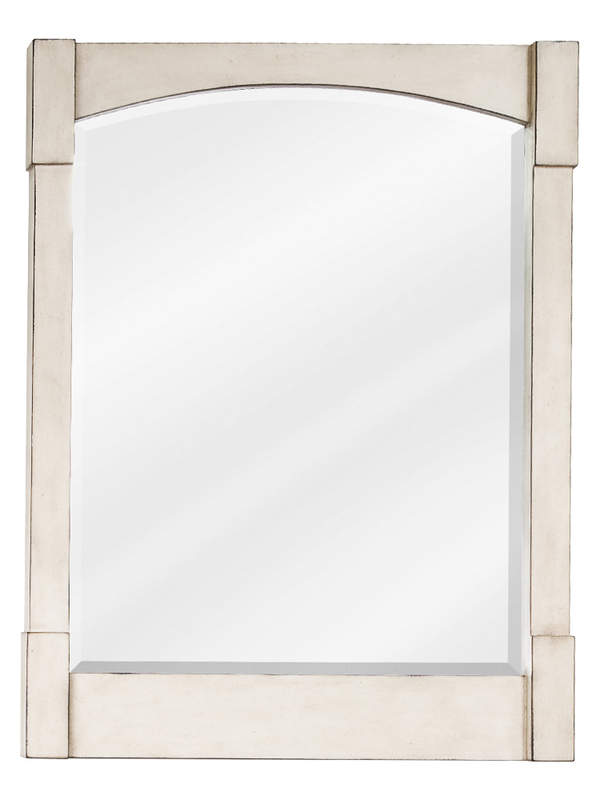 Match it with its coordinating mirror to give it a complete look.